Description: Jesse James Beads are wonderfully coordinated for creating fashion jewelry. These beads could also be used to add dimension to your craft projects or to embellish clothing or quilts. Contents of each package are subject to change and may not always be exactly as pictured. 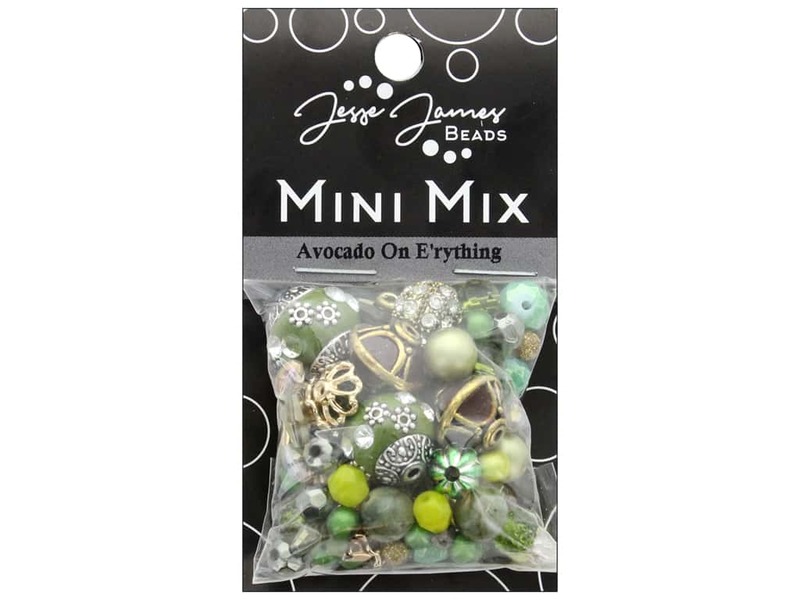 Mini Mix Avocado On E'rything- Bead mix contains rhinestone covered balls, mini metal hearts, mini tassels, metal bead caps, faceted beads, and more. Largest measures approximately 14mm. See more Jesse James Beads.